There are different types of mystery as any quick look at Medieval legacies will tell you. Some are mysterious mysteries never meant to be understood outside of obliqueness given their allegorically ambiguity, and some are just, well, different, but answerable. The history of the future lends itself a little to the Ecclesiastical (or first) sort of mystery as just described--sometimes, anyway. Sometimes looking at an imagined future drawn years ago for a period of time that has already passed may lend itself to some fair-game comedy. But getting things "right" as a futurist/illustrator may be quite beyond the point, as with the example above, drawn by Jim Powers. Being furiously correct was not the point Powers was trying to achieve. TO me he was drawing to a certain deep sight, presenting an allegory of possibility, trying to excite some interest in speculation in someone by elements of what he was drawing, not in the overall image. In the alphabet of 'RAMAS, perhaps the most famous of them all is futurama, which (real or imagined) is part of the continuum of motoramas version of raceoram's spaceorama. It was in this envelope of futurama that Jim Powers worked his mysteries in a series of images for Life in the Year 2000, laboring away at insight in the mid-1950's. Surely he could0 not have believed in these rocket-stuffed ultra-streamlined mega-finned interplanetary autos would come into being in five decades, but I'm pretty sure that he believed that somewhere in the details of his work were useful bits/ideas for someone else. Surely he did not think that the overall vision was more significant than the sum of all of his very interesting parts. Albert Einstein was many things--including a designer of clothing, and a patented one at that. He applied for and was granted a patent in 1936 (not an unbusy period in which he must've been noodling this thought around in his head, that blouse thing along with gravitational lensing, that pesky quantum mechanics, and the EPR paradox and all that) for an expanding waistcoat. Well. Einstein had his hand in other patents, including a rather famous one regarding a refrigerator with no moving parts (along with the great Leo Szilard, the "Einstein-Szilard electromagnetic pump), as well as part interest in gyroscompasses and a hearing aid, and better yet a "light intensity self-adjusting camera" with an "electric eye". And the "ornamental blouse". I suspect that it was all in fun, except that once the thinking had been done, it was thought to take it to the next logical step. In 1664 Philipp Jakob Sachs (Sache de Lewenbheimb) wrote an influential book on the circulation of the blood. It was the advanced work of a learned man, a naturalist and physician who was also the editor of the Ephemerides Academiae naturae curiosorum, which was the first journal in the field of natural history and medicine and one of the founders of the Academia Naturae Curiosorum (Leopoldina). His work came 40 years after the great work by William Harvey, who published Exercitatio Anatomica de Motu Cordis et Sanguinis in Animalibus in 1628, a work in which he essentially brought the idea of circulation of the blood into the modern age, building on earlier ideas of Michael Servetus, whose 1561 work on circulation (and his religious ideas) brought him to be executed by flames. 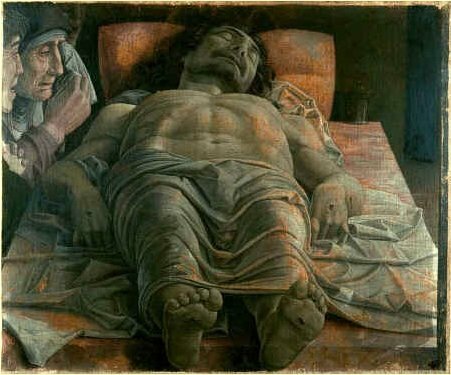 For centuries the pulse was a vaguely understood thing reaching back into the murky medical past as far back as Galen. 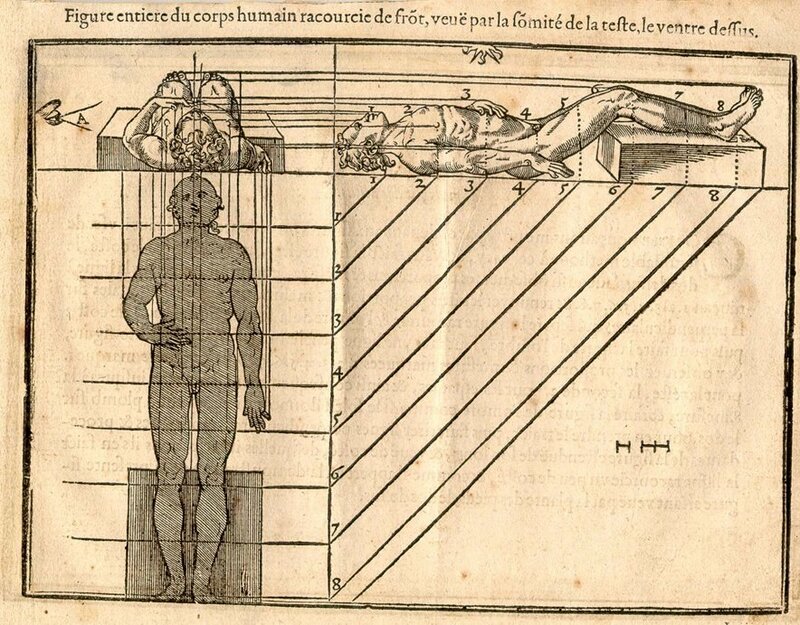 The association of course was with the heart, and the association of the heart was as the great controlling center of all function and control of the human body—a theory that reached far forward into the 16th century. Servetus (physician, cartographer, theologian, writer and general all-adept Humanist of a high order) was in trouble with the church for many reasons, not the least of which was trying to dislodge the theory of the heart as sacred and the seat of wisdom. But he did establish that the heart was an organ, which didn’t sit well with very many people, least of all the Calvinist court in Vienna which found him guilty on many anti-Humanist grounds, including his anti-Trinitarian Christology, which made him a reviled figure to Catholics and Protestants. He was tried and found to be dangerously heretical, and sent to the flames. Harvey withstood blistering attacks on his correct statements on the circulation of the blood (costing him nearly all the patients in his practice), though he at least lived to see a brighter day: Servetus, on the other hand, didn’t, and was burned at the stake for his heresies, one of which his attack on the spiritual heart. In any event, the frontispiece to Sachs' work is an interesting allegorical composition showing a connection between the place of the very prominently featured heart in the circulation of the blood, and the water cycle, and the cosmos of creation (the breath of life coming from the winds of the Sun and the Moon). Notes: (Sachse de Lewenheimb, Philipp Jakob Sachs, 1627-1672 , Oceanus macro-microcosmicus, seu Dissertatio epistolica analogo motu aquarum ex et ad Oceanum, sanguinis ex et ad cor... 1664, with full text via Google books here). Abcedarian n.s. [from the names of a, b, c, the three first letters of the alphabet.] He that teaches or learns the alphabet, or first rudiments of literature. This word is used by Wood in his Athenae Oxonienses, where mentioning Farnaby the critic, he relates, that, in some part of his life, he was reduced to follow the trade of an abecedarian by his misfortunes. --Johnson, Samuel. "Abecedarian." A Dictionary of the English Language: A Digital Edition of the 1755 Classic by Samuel Johnson. Edited by Brandi Besalke. http://johnsonsdictionaryonline.com/?p=296. I love Tall Ships, but perhaps never so much as when they are flying--real or imagined. I was searching for the "Make Me a Map of the Valley" map, the Stonewall-Jackson-directive map, that was made to devastating effect by the Confederacy's leading cartographer, Jedediah Hotchkiss. 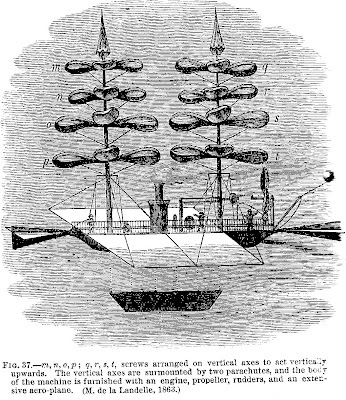 [More on Hotchkiss here from the Encyclopedia of Virginia.] I saw this on display at the Library of Congress years ago--it is an enormous thing, about 22 square feet and more than 7 feet long (or tall, as it was displayed vertically then), filled with minutiae and just a splendid map of great detail put to extreme use by General Jackson (and Lee, and others). The LC has the Hotchkiss Collection, their "jewel in the crown" of the Civil War maps there, and there is a great amount of it on display on the LC website. The Big One, though, is not there in full. I copied a few of some of the maps most interesting to me, and at the bottom is a link to the other 120 or so maps online by Hotchkiss. [Above: title for one of Hotchkiss' workbooks, Sketch book of Jed. Hotchkiss, Capt. & Top. Eng., Hd. Qrs., 2nd Corps, Army of N. Virginia : [Virginia], "Shows general maps of northwestern Virginia and parts of Montgomery County, Maryland, with some showing roads, troop movements, and the names of some residents..."
"The Hotchkiss Map Collection contains cartographic items made by Major Jedediah Hotchkiss (1828-1899), a topographic engineer in the Confederate Army. Hotchkiss made detailed battle maps primarily of the Shenandoah Valley, some of which were used by the Generals Robert E. Lee and Thomas J. "Stonewall" Jackson for their combat planning and strategy. Several of the maps have annotations of various military officers, demonstrating their importance in the military campaigns..."--from the LC site. A good, long essay on the collection by Clara LeGear appears elsewhere on the LC site, here. All maps are expandable after being opened. 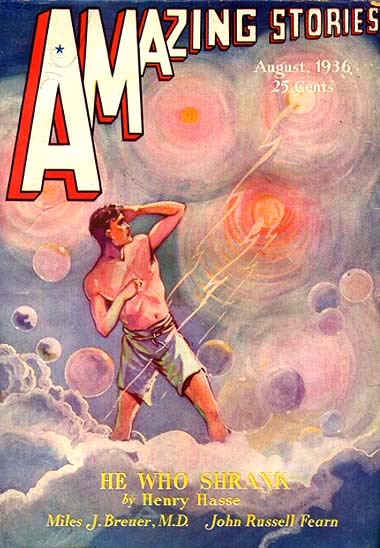 These Air Wonder Stories magazine covers are just absolutely delightful--full of abolute hope and belief in the possibilities of what the future might bring i the forms o fair travel. THe first shows an enormous jet-powered craft that is breaking through a waterspout, seemingly undisturbed. Several years ago I purchased part of an archive of David Katcher, who was the founding editor of the journal Physics Today. Before that, several years before that, in 1945, David Katcher was Lt. Katcher, serving as a correspondent/writer in the public relations office of the U.S. Army Headquarters of the Western Pacific (GHQ USAFPAC). There's a 6-inch stack of paper here with what seems to be his (and associated) mimeographed offprints of the daily grind of running the PR department of the Army in the Philippines, which, taken as a whole, is pretty interesting, showing the concerns and trials of the Army in reestablishing the government and infrastructure of the country. Some of the individual reports/publications are stand-alone, straight-up fabulously interesting things, and so far as I can determine, have not been published anywhere else. These two examples are both related to the subduing of the last remnants of the Japanese Army still fighting in the dense nether lands of northern Luzon, the Philippines, fighting after the surrender had been made (14 August 1945) and signed (formally, on the USS Missouri, 2 September) , fighting after the war had ended. And in all of this comes this unexpected item, dated 1 October 1945, from "Headquarters. United States Army Forces Western Pacific, Public Relations Office, APO 707, General Release 56--Manila" and which--in the midst of the end of the war and the dropping of two atomic weapons--concerns a brave and battle-distinguished and heroic pigeon, "Blackie Halligan". "Blackie carried a number of messages to this location, one of which was extremely important because it gave the location of some 300 Japanese troops. He carried out this message despite being badly wounded. Word of his accomplishment reached General Patch, Commander of the American Division, who made a special trip to the loft where he decorated Blackie. Later, Blackie saw action at other islands in the Pacific." --CECOM Historical Site, U.S. Army, source. Sometimes, in the midst of great loss in the throes of great victory, in the balance of stories great and true and tried, the small story of sacrifice may be the perfect antidote for large needs. I have a hard time resisting long and detailed engravings, and the great sculptural victory column with the enormous numbers of bas relief depicted by Giovanni Piranesi ("Trofeo o sia magnifica colonna ... ove si veggono scolpite le due guerre daciche fatte da Trajano, inalzata nel mezzo del gran foro ..." and printed in 1770) certainly takes a stellar position. It is of course a depiction of the epic victories of Roman Emperor Trajan's campaigns against the Dacians (101-102 and 105-106 ACE), and is located at Trjan's Forum, north of the Roman Forum. The story of Trajan's efforts on the 100'-high column (125' with pedestal) wraps itself around 23 times, rendering a 625'-long storyline of defeat for the Dacians. It is a beautiful thing, even if Sixtus V (the Sixtus who came after Sixtus IV who commissioned the Sistine Chapel, or the chapel dedicated to the Sixtus popes) placed that statue of St. Peter on the top of it. This is a very quiet image of a major device in the history of the animated/moving picture: Joseph Plateau's phenakistoscope, a device which was based on the persistence of vision principle that would allow th emind to believe it was witnessing a continuous (though segregated) motion. 1. "On 10 December 1830, Michael Faraday(1791-1867) gives a lecture at the Royal Institution. The publication appears in February 1831: "On a peculiar Class of Optical Illusions". Continuing on what Peter Mark Roget (1779 - 1869) had published in the Philosophical Transactions, he describes two parallel discs, revolving on the same axis, in opposite directions, each having 16 cogs. When viewed in a mirror a stationary image is seen. He does not refer to Plateau's work, done before 1831 and which had been published in the Correspondance mathémathique et physique. Later Faraday writes that the honour is due to Plateau." --source, here. s in --February 1831: "On a peculiar Class of Optical Illusions". Faraday writes that the honour is due to Plateau.